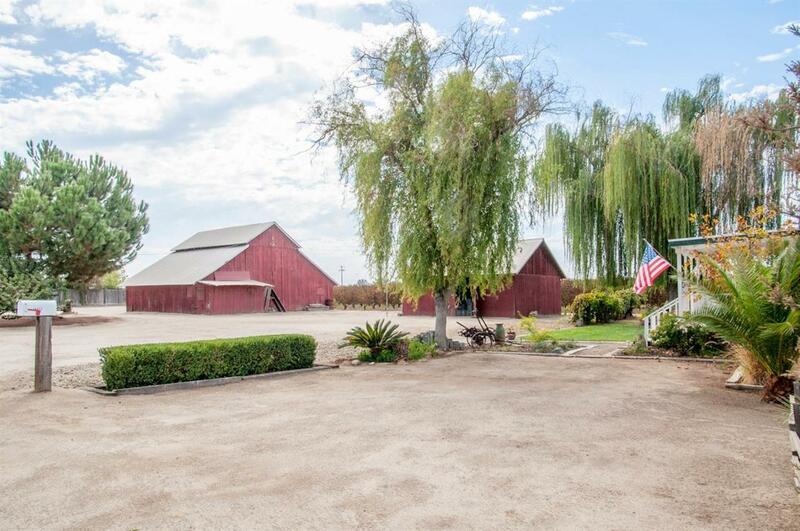 Country property with Two Homes on 1.8 Acres with Two Barns located in Kingsburg near the Kings River and Golf Course. Both homes are sold together. First Home is a 2 Bedroom 2 Bath Home at 1253 Sqft, original farm home with all its character, private garden setting backyard a must see. The second Home is 3 bedroom 2 bath Custom Built Manufactured Home at 1584 Sqft with split floor plan, vaulted ceilings, open concept living and dining room with fireplace. Home is landscaped with beautiful garden setting to enjoy the quiet of Country Living. Property includes Two large barns for storage, work space, or for Recreational Vehicles and much more. This country property is a must see! !